TEHRAN, Feb. 18 (Mehr News Agency) -- The Esfandgan Feast, which is devoted to women and mothers, is celebrated on Sepandarmaz Day in Esfand, the last month of the Iranian calendar, to acknowledge the lofty status of mothers as well as their kindness and self-sacrifice. February 24, the fifth day of the ancient Iranian month of Esfand, is the day of the Esfandgan celebrations. In ancient Iranian culture, during the whole month, and especially on this day, women were commemorated. It is regarded as the oldest tradition of its kind in the world. 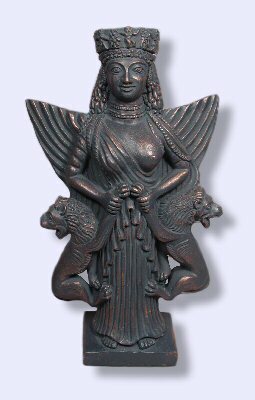 In the Zoroastrian religion, the day belongs to the Amesha Spenta Spandarmaz, the symbol of love and humility in the spiritual world and the guardian of the earth in the material world. In the ancient Iranian tradition, women set aside their household chores and put that responsibility on the shoulders of their men for just one day. The men were also supposed to present gifts to their women. To mark the day, the family would wake up early, clean the house, and celebrate the day by cooking ash (a kind of Iranian soup), to be served with special Zoroastrian bread.